A common complaint is that a heat pump “heats slower” than a furnace. In reality, it’s simply that the heat pump doesn’t blast air as intensely as a furnace. Furnace owners are accustomed to the sound of hot air rushing from the vents. While some find this to be an annoyance, they acknowledge it as a sign of an operating furnace. 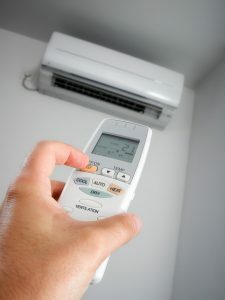 When they find that a heat pump is much quieter, they may take that as a sign that the heater isn’t nearly as effective. In reality, heat pumps distribute heat more thoroughly. This helps save energy and ensure better comfort. In the middle of a winter night, it can be alarming for the heat pump to suddenly stop blowing heated air. The natural reaction would be to start adjusting the controls, troubleshooting common errors, and maybe even calling an HVAC technician. Before getting too serious, however, start by ensuring that the heat pump hasn’t entered its defrost cycle. When the outdoor air becomes too cold, the right combination of elements could cause the outdoor unit to freeze over. Fortunately, heat pumps are equipped to use electrical heating strips to melt the ice away. The heat pump won’t supply heated air to the home during that time. If the defrost cycle lasts more than about 15 minutes, it might have frozen over for real. That would be an appropriate time to call in for an opinion and possibly repairs. Leaking Refrigerant: Refrigerant is a necessary chemical component in transferring heat into the home. A leak in the refrigerant line is serious trouble. Uneven heating: If using a duct system, it’s possible that trouble in the ducts can cause the rooms of the home to be unevenly heated. Strange noises: Any noise out of the ordinary is always a cause for concern. Banging, clanking, scraping, and screeching are just a few examples. Short cycling: An improperly installed heat pump might turn on and off rapidly during its operation. This is a problem that can become very costly over time. Contact Yost & Campbell Heating, Cooling & Generators today to schedule a service for a heating system.